On the 12th (Mon), admire the striking features of Sultan Abdul Samad Building, then look for all kinds of wild species at KL Bird Park, then explore the fascinating underground world of Batu Caves, and finally enjoy breathtaking views from Menara Kuala Lumpur. To find more things to do, reviews, where to stay, and other tourist information, read Kuala Lumpur road trip site . Mumbai, India to Kuala Lumpur is an approximately 8.5-hour flight. You can also do a combination of train and flight; or drive. Due to the time zone difference, you'll lose 2 hours traveling from Mumbai to Kuala Lumpur. When traveling from Mumbai in November, plan for slightly colder days and somewhat warmer nights in Kuala Lumpur: temperatures range from 37°C by day to 28°C at night. Wrap up your sightseeing on the 12th (Mon) to allow time to drive to Melaka. 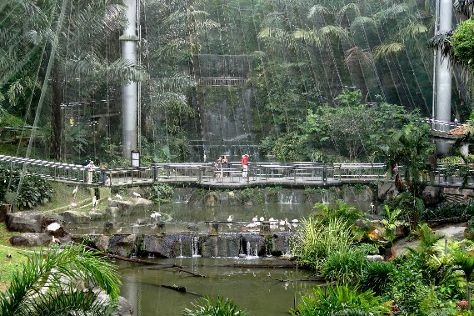 On the 13th (Tue), admire nature's wide array of creatures at Melaka Butterfly and Reptile Sanctuary, then contemplate the waterfront views at Malacca River, and then take an in-depth tour of Malacca Heritage Centre. On the 14th (Wed), you'll have a packed day of sightseeing: take in the spiritual surroundings of St. Peter's Church, then examine the collection at Cheng Ho Cultural Museum, then view the masterpieces at The Orangutan House, and finally don't miss a visit to The Huskitory. For where to stay, ratings, reviews, and other tourist information, use the Melaka planner . Traveling by car from Kuala Lumpur to Melaka takes 1.5 hours. Alternatively, you can take a train; or do a combination of train and bus. 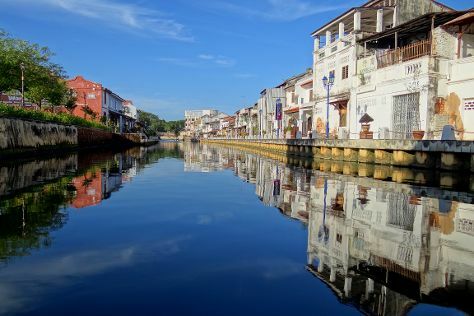 In November, daily temperatures in Melaka can reach 37°C, while at night they dip to 28°C. Finish your sightseeing early on the 14th (Wed) to allow enough time to travel to George Town. Kick off your visit on the 15th (Thu): enjoy some diversion at Adventure Zone, then take in the spiritual surroundings of Reclining Buddha Wat Chaiyamangalaram, and then examine the collection at The Camera Museum. For other places to visit, traveler tips, ratings, and tourist information, read George Town online tour itinerary maker . Getting from Melaka to George Town by flight takes about 2 hours. Other options: do a combination of bus and flight; or drive. The time zone difference when traveling from Melaka to George Town is minus 1 hour. November in George Town sees daily highs of 36°C and lows of 28°C at night. Finish up your sightseeing early on the 15th (Thu) so you can travel to Langkawi. On the 16th (Fri), see the interesting displays at Galeria Perdana and then kick back and relax at Pasir Tengkorak Beach. On the next day, kick back and relax at Cenang Beach, examine the collection at Laman Padi Langkawi, and then pause for some serene contemplation at Wat Wanararm. To find more things to do, traveler tips, ratings, and tourist information, refer to the Langkawi online road trip planner . You can do a combination of taxi and flight from George Town to Langkawi in 1.5 hours. Alternatively, you can ride a ferry. You'll lose 1 hour traveling from George Town to Langkawi due to the time zone difference. In November, plan for daily highs up to 36°C, and evening lows to 29°C. Wrap up your sightseeing on the 17th (Sat) early enough to travel back home.